Bio: Anderson completed his undefeated season by continue to dominate the Division III competition at both the North Coast Section and State levels and then traveled to Portland and won the Nike Cross Nationals boys championship race. This was after a third-place finish in 2017 and most overlook how he also qualified (22nd place) as a sophomore in 2016. Anderson shined on the Woodward Park course, crossing for his second straight Division III individual title with a 14:55.30 PR that was the fastest at the State Meet and the fastest 5K in the state. Matriculating to Stanford next year, the three-time North Coast Section champ patiently waited until November to reveal his best and achieve all of his goals! MileSplitCA All-State Senior first team. Bio: Bates ran stride-for-stride with Matt Strangio down the stretch of the Division I championship race at State. 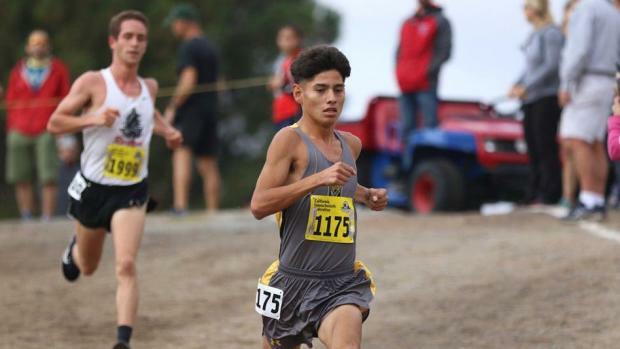 His runner-up finish in 15:05.30 was improvement by more than a minute from 2017 and was among the biggest surprises at the CIF-State Championships. 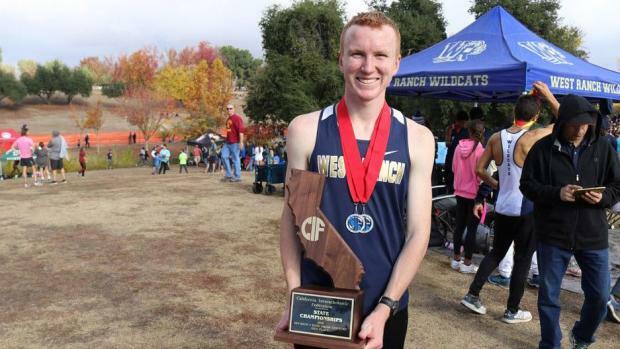 He was the catalyst for his West Ranch crew that finished only 11 points behind Great Oak for the State D-I team title, earning them a trip to Portland for NXN where they placed eighth among 22 of the nation's top teams. While only seventh at the Division I CIF-SS Finals, his effort was one of the best across the board over the course of the entire 2018 season. MileSplitCA All-State Senior first team. 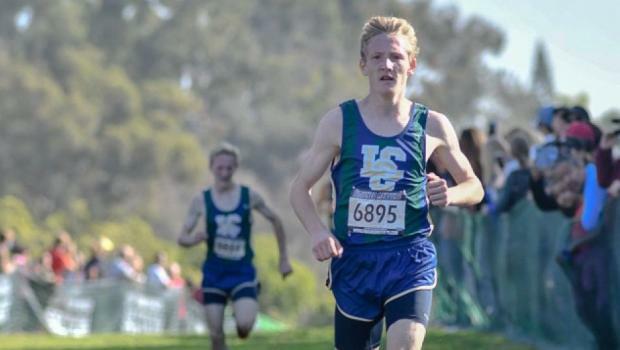 Bio: Going into the cross country season with the dubious honor of running a 9:09 for the 3200 at the CIF- SS Division I Prelims and NOT advancing, Frankenfeld knew what it was like to have a season end prematurely. He refused to allow that to happen his senior year. With unfinished business as a motivating theme, Frankenfeld went out and won the Southern Section Division I title, leading his squad to another State Meet berth. He then chased Matt Strangio and Evan Bates up the grass at Woodward Park to place third at the State Meet. His 15:08.50 clocking was the ninth fastest at the meet. 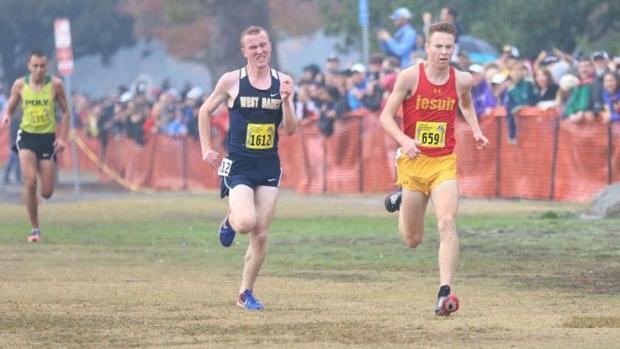 He followed that a week later with a fourth-place finish at the Foot Locker Western Regionals and then earned All-American status with his 14th place finish at the Foot Locker Nationals. MileSplitCA All-State Senior first team. Bio: Going into the State Meet, one could argue that Ramos had the best 2018 resume of any senior. But for the second year in a row, he had to settle for a runner-up spot to Liam Anderson in the Division III race at the State Championships. Invited for another trip to NXN, the only hiccup this season was his 44th place finish there. But the Mt. SAC Sweeps champion, two-time CIF-SS Division III champion, Inland Empire Champion, and runner-up at Woodbridge had a season to remember. 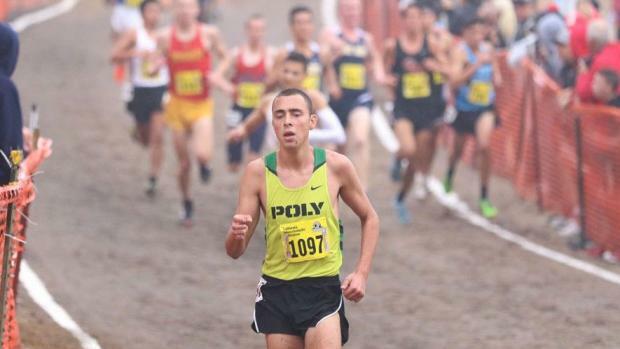 Before NXN, Ramos had only lost to Anderson and Nico Young -- the top senior and the top junior, respectively, at NXN! MileSplitCA All-State Senior first team. Bio: The top boy in San Diego on one of the top teams in the nation, the BYU-bound Stanford was an easy choice to take the line among CA's top seven. He had five race victories, including his first San Diego Section divisional title after placing third as a sophomore and second as a junior. Stanford Also won at the Stanford Invitational with a 5K PR of 15:10.90. At State, he placed fifth in the loaded Division II race, helping LCC to a runner-up finish that earned the Mavericks a bid to NXN. There, Stanford placed 37th, the fourth fastest Californian, leading his squad to an impressive 11th place team finish. MileSplitCA All-State Senior first team. Bio: Strangio capped off his sophomore season on the track with an improbable state title in the 3200m race. He came into his junior cross country season with a lot of confidence and big goals. Just like his previous track season, injuries curtailed his momentum but when the post-season came around, Strangio proved to be a big race competitor once again. 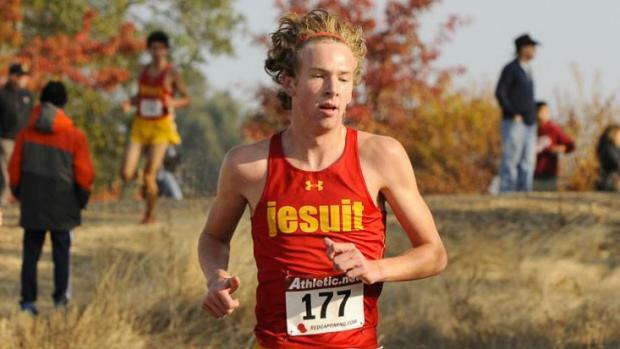 He won the SJS Division I title and followed that with another state title the following week, out-sprinting West Ranch senior Evan Bates in the closest finish of the 10 races at the State Championships. 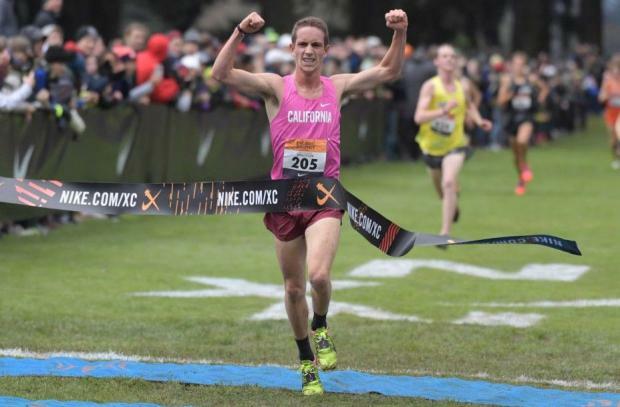 At his second NXN race, Strangio was third among Californians and eighth overall (after placing 15th as a sophomore). MileSplitCA All-State Junior first team. Bio: Young made his presence felt early with an impressive victory at the ultra-competitive Woodbridge Invitational with a time of 14:01.1 on the whippet-fast 3-mile course. It was among six race wins that he would have throughout the fall. 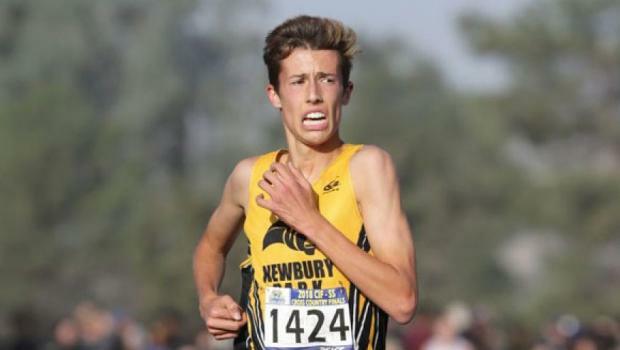 That list included the Southern Section Division II title and, the following week, the State D-II title as he dipped under the 15-minute mark with a 5K PR time of 14:59.20. All outstanding performances but his best race of the season took place a week later at the NXN meet in Portland where he finished in fourth place and will be the second fastest returner next fall in 2019. MileSplitCA All-State Junior first team.